Offers support for MySQL databases. 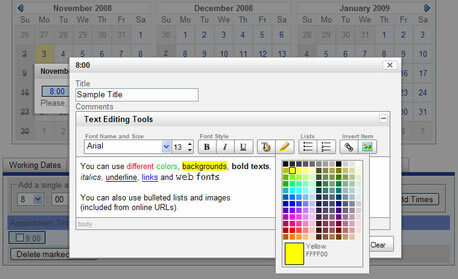 The calendar data are stored into a MySQL database. Important: Note that this special version is sold as a separate extension. 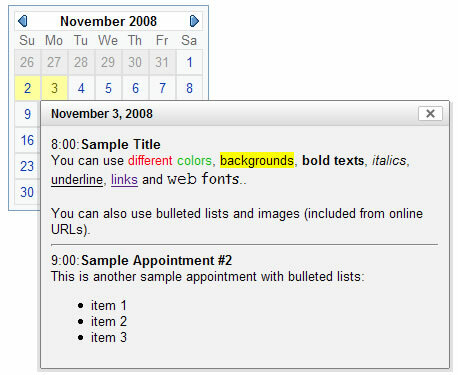 However if you have purchased previously the standard Appointment Calendar or the Appointment Calendar with HTML Editor please contact us and we will provide you with an upgrade link for us$20. Be sure to include the email address used for the previous purchase in your contact message. Your webserver must support MySQL databases (3.23 or later versions). The values to specify are the MySQL hostname("localhost" in most cases), the MySQL username, password and database name. Note: All you need is to specify the database access details. The data tables will be created automatically on the first use (of the administration area). Note that the database user must have privileges to create new tables into the database. 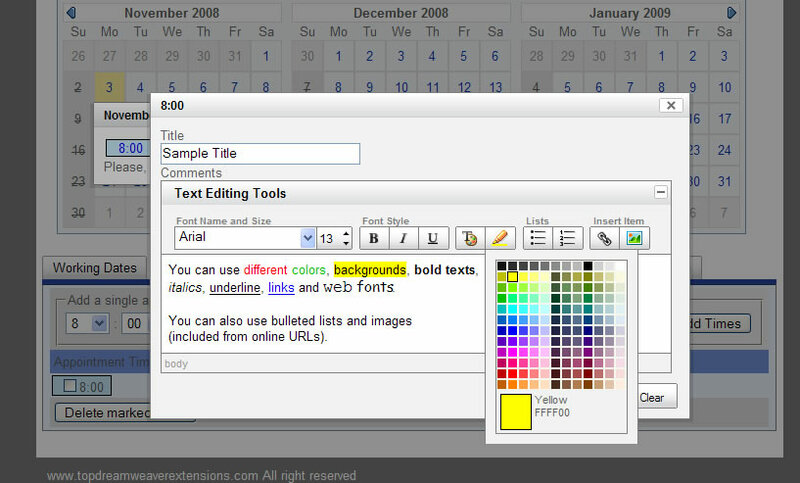 Additional Info: Appointment Calendar with MySQL Database - Online FAQ.